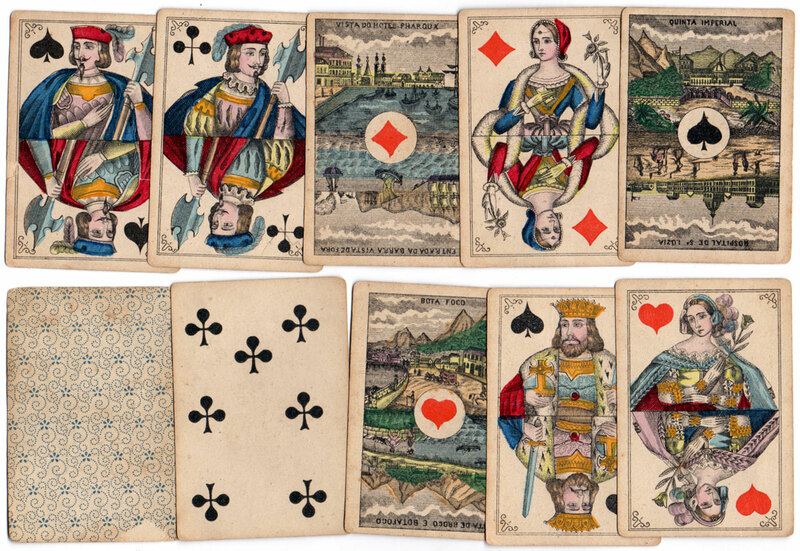 One of the outstanding and most popular packs made by the Turnhout cardmakers, the Bongoût pattern is another descendant of the Paris pattern which emerged in the 19th century. 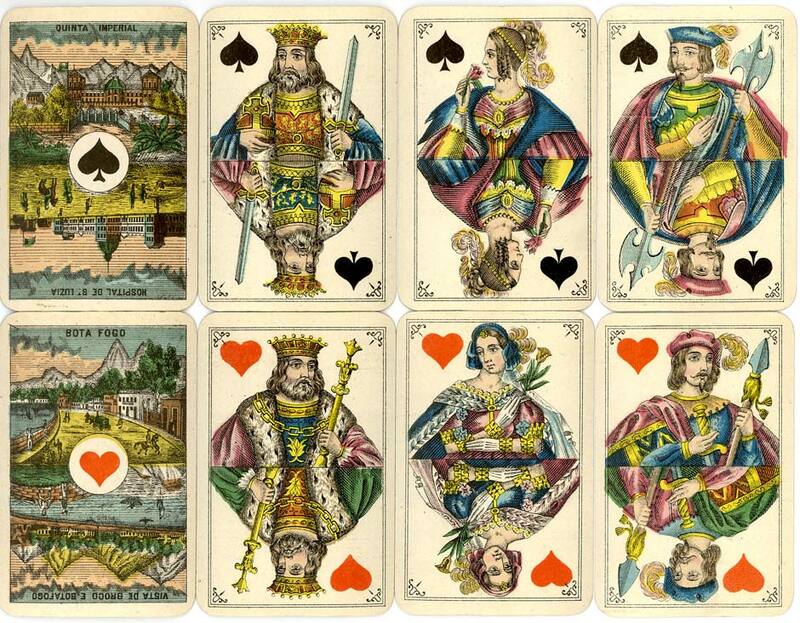 The refinement of the design includes decorated corners to the court cards and figures of different colours on each half of the card. With an eye to the export trade, special scenic Aces could be added to packs according to the client’s preferences. Usually these seem to have been Brazilian but some packs were made for Portugal or Italy. 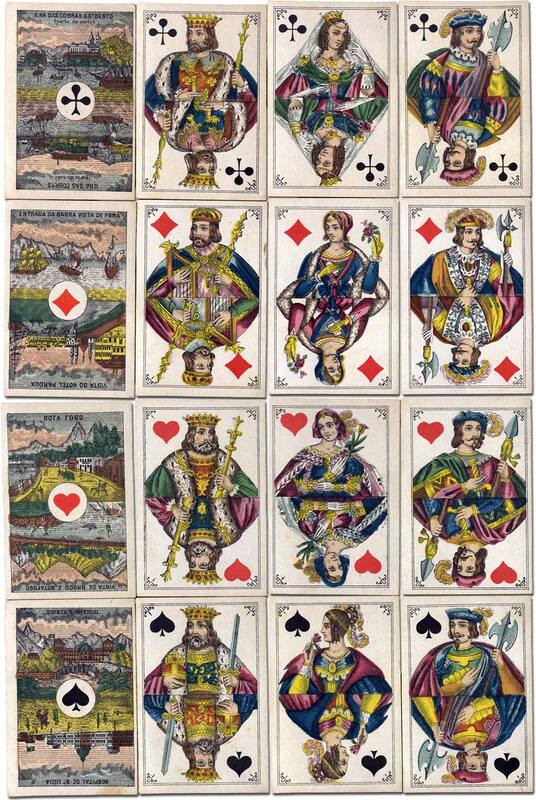 Above: later example of Bongoût pattern playing cards with special scenic Aces for Brazil, rounded corners. Image courtesy Barney Townshend. All the major Turnhout makers produced a version of the Bongoût pattern, though it is not known who issued the design first. The designs are permutations from earlier patterns but with the suits swapped around. 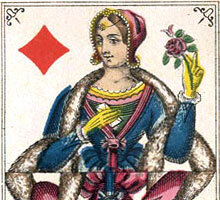 Above: Bongoût pattern playing cards with scenic Aces manufactured by A. Van Genechten, 1877.